Orlin Milinov, 2 November 2018. 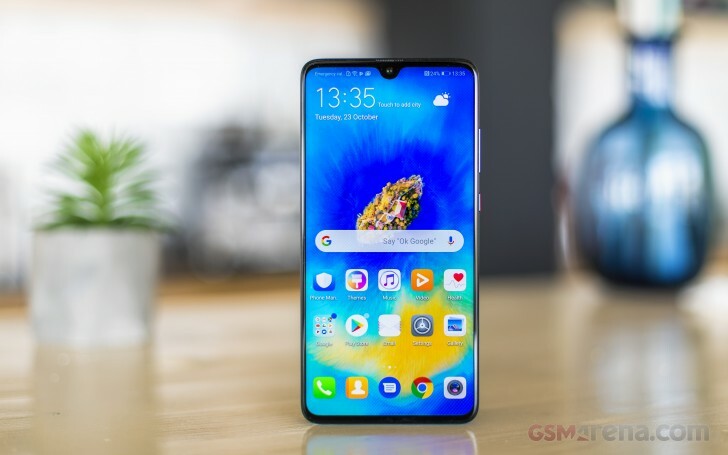 Huawei Mate 20 or Huawei Mate 20 Pro? That's one very reasonable dilemma, but you don't have much of a choice, do you? If you are lucky to live in one of the few markets where both phones are available, then you can save some cash by getting the regular Mate 20. But it is one peculiar trade-off with some odd gains and losses. Let's find out if that's a deal worth making. The main camera is the feature to raise the biggest concerns. It's still a triple one, but with different sensors, lenses, and there is no optical stabilization to be found. The Night Mode is present though, so the Mate 20 is keeping its cool under low-light. There is a lot to talk about the Mate 20, so let's start by popping this thing out of the box, shall we? 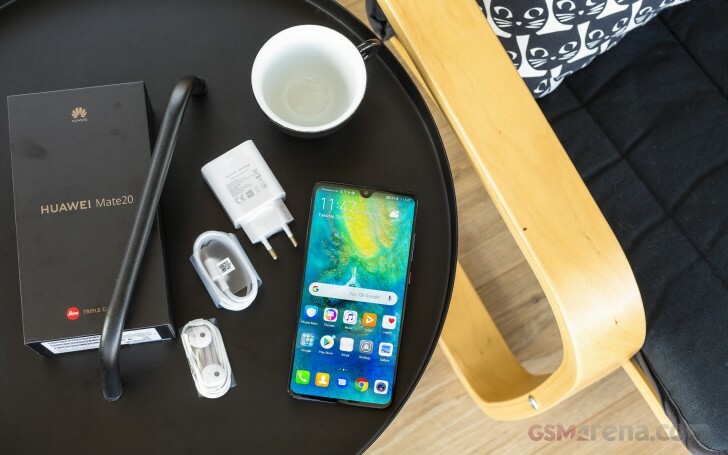 The Huawei Mate 20 is packed in a rather compact paper box, but don't let the looks fool you - it's full of goodies. The retail bundle contains a fat 22.5W charger and a modified USB-C cable - you need both for Super Charge to work. Huawei's most recent headphones are inside the box, too. 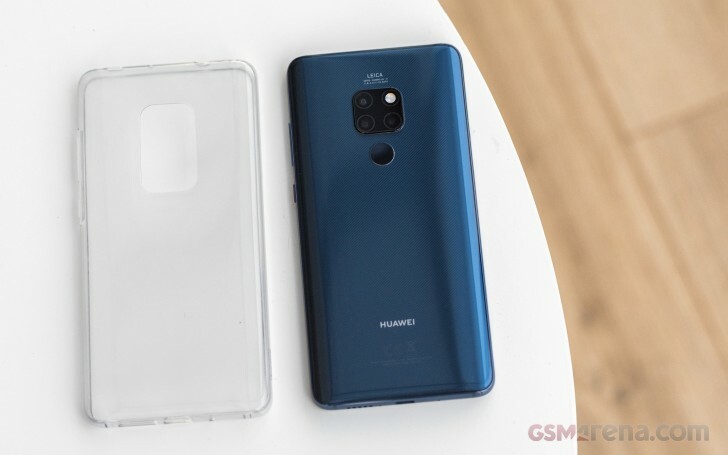 Just like the Mate 20 Pro, some of the Mate 20 retail boxes contain a transparent case - which happened to be present in our reviewer's kit. Not all European markets are getting a case, and whatever the reason might be, we are not happy with this weird segmentation.